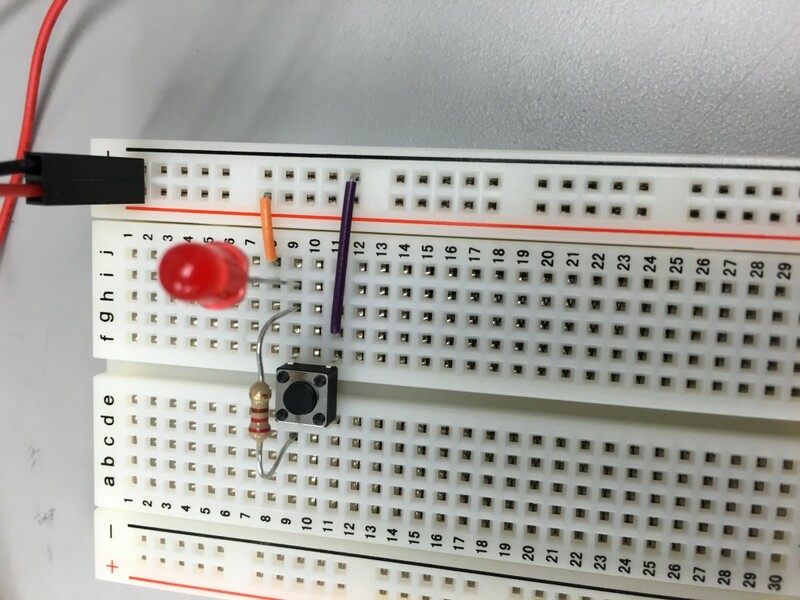 We created a simple circuit to power an LED with 5 volts. 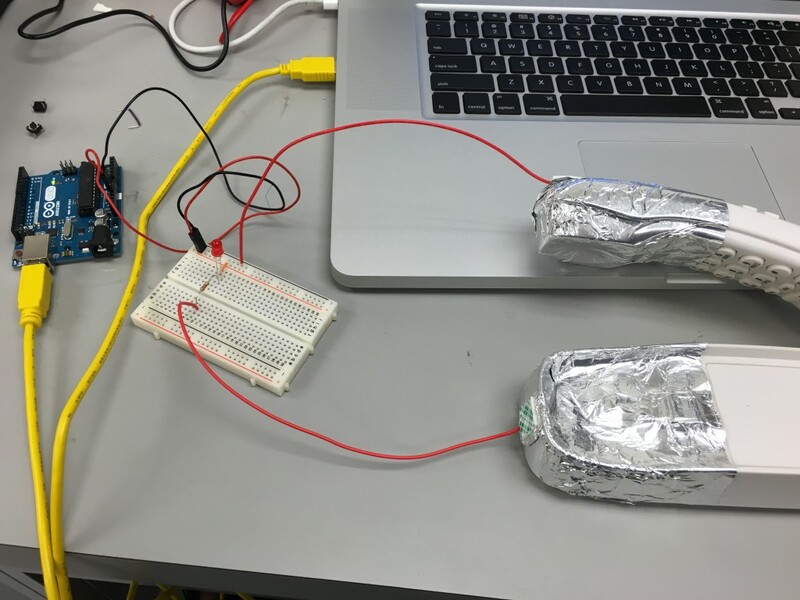 Using Ohm’s law, we calculated that our 1.7V LED will require a 220Ω resistor so that we don’t burn out our LED. The resistor reduces current flow, which in turn reduces the overall voltage. 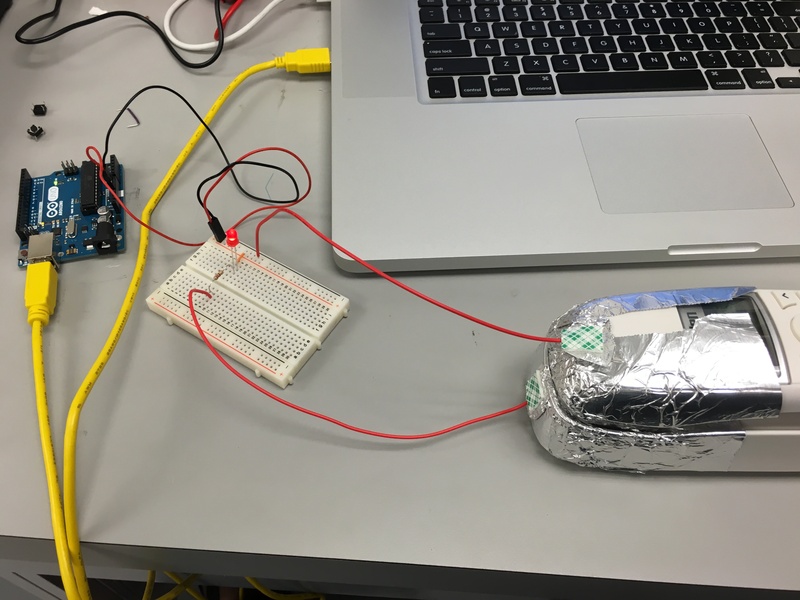 LED powered by 5V using 220ohm resistor. Don’t forget to connect the LED with correct polarity. Next, we slightly changed the configuration so that we could add a simple switch inline with the circuit. 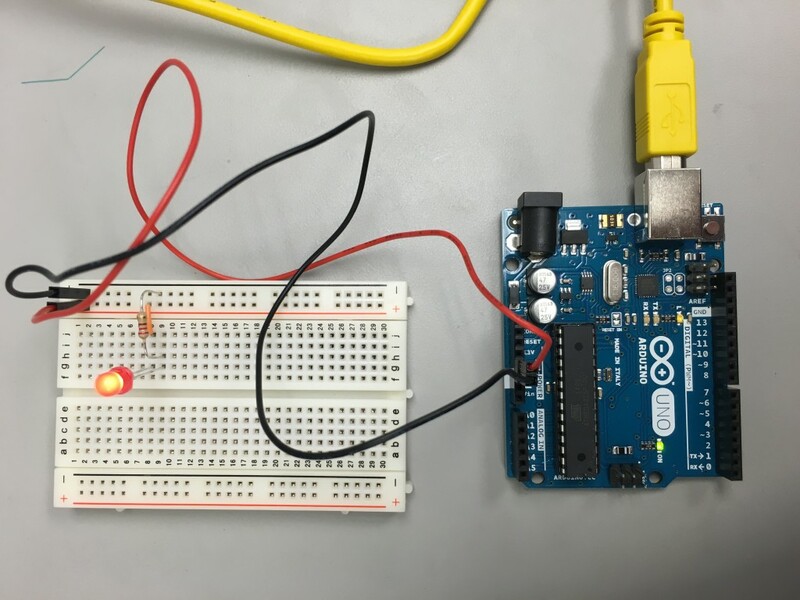 When the circuit was powered back on, the LED would only light when the button was pressed. Then we got more creative with out switch. I brought in an old telephone, which I wanted to use to control my LED. 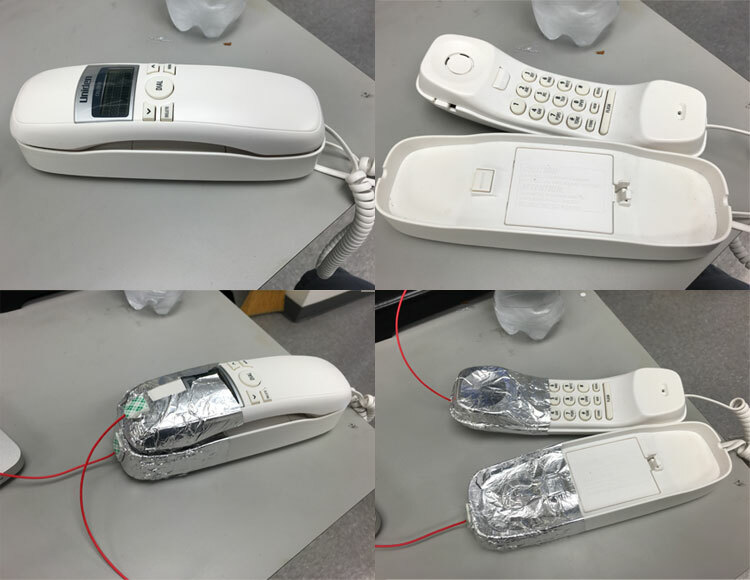 Aluminum foil and lead wires were added to the phone so that when the phone was hung up it would complete the circuit and light my LED, and when it was off the hook the LED would turn off. I tested my switch and to my surprise, the switch actually worked! There are many other creative ideas for making a switch. It would be interesting to work with some of theses ideas to create interfaces for users to interact with.